NTEN’s New Homepage: Share Your First Impressions! After months of thoughtful reflection, accompanied by much weeping and gnashing of teeth, we are close to finalizing the design of the new NTEN homepage. 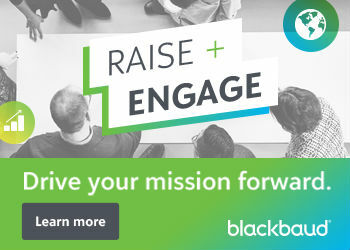 Our web design experts from Cornershop Creative have put together a page that we hope will fulfill the intended goals of the redesign: to create a more dynamic, easy to navigate website that will help to support our active community of nonprofit professionals to connect, learn, and change the world. Now it’s time to turn it over to our trusted community of people like you to see if our website redesign mockup actually achieves our intended goals in the wild. Will you help us out by participating in this quick first impression test? To participate, click on this link: http://bit.ly/NTENwebsiteUX1. The entire test should only take about 5-10 minutes to complete, and your valuable participation will help us to refine the design going forward. This will provide us with an opportunity to see whether users are able to quickly find elements and perform tasks that we have prioritized. To help administer this test, we are using using a tool called Chalkmark from Optimal Workshop. 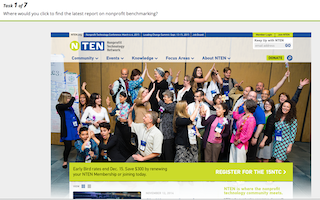 Thanks in advance for your participation to help us improve NTEN’s website!